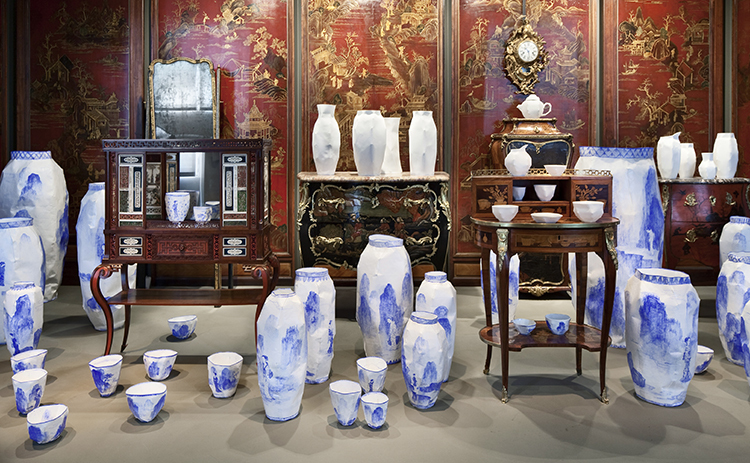 Being surrounded by Tord Boontje and Emma Woffenden’s beautiful objects each day at Sotheby’s makes THEEYE even more conscious of other artists and designers making extraordinary and unusual hand made objects. 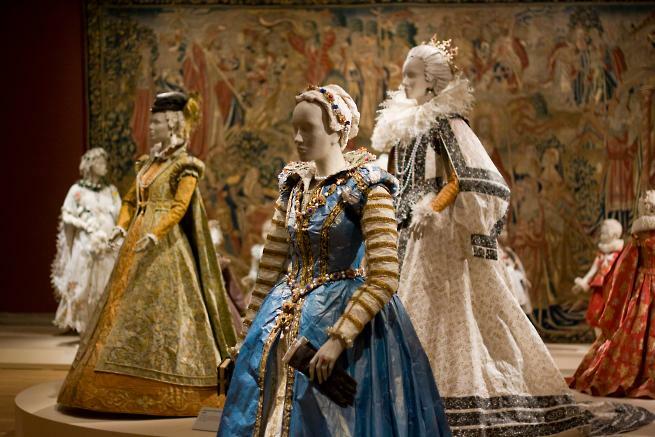 A visit to the Metropolitan Museum in NY in 1994 inspired artist Isabelle de Borchgrave to create her own world of costumes in paper and trompe l’oeil. 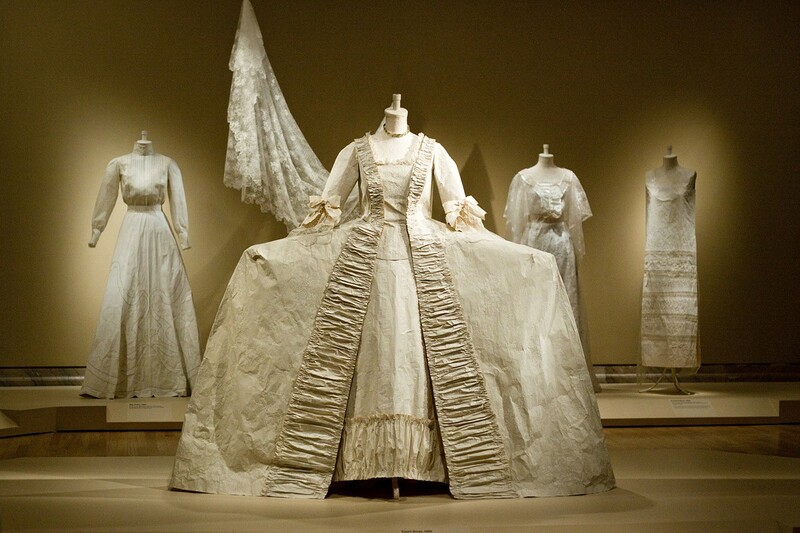 Papiers a la Mode was the result, an extraordinary and quite remarkable collection of fashion history. 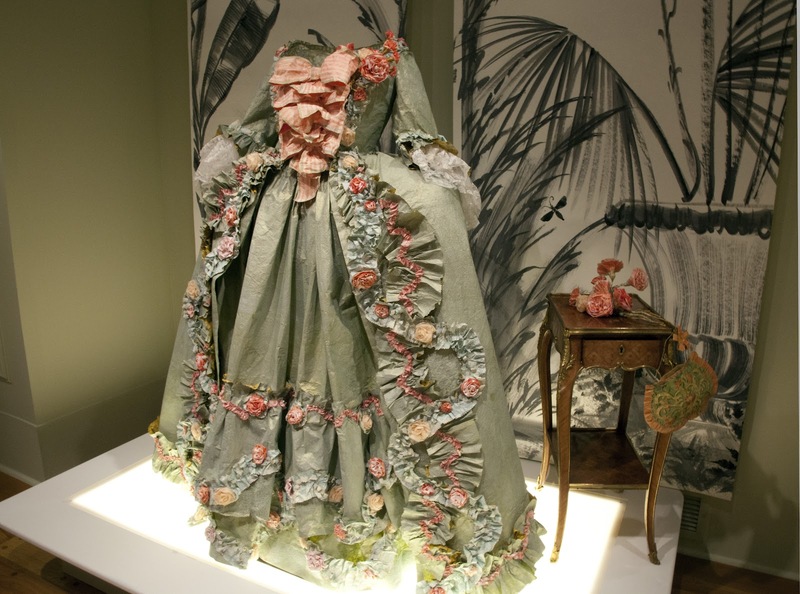 Isabelle progressed to designing painted fabrics, dinner services and large folded paper works which have been exhibited all over the world. 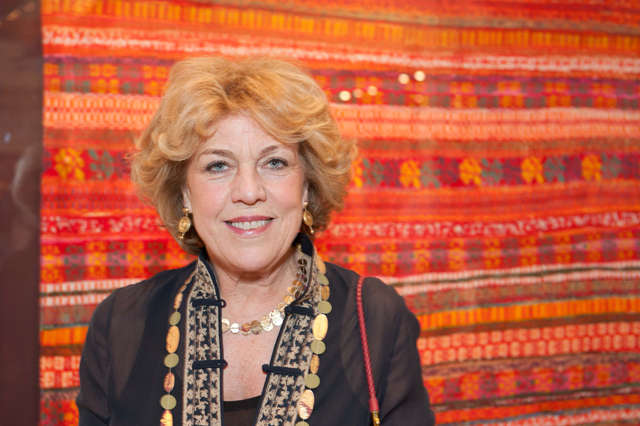 THEEYE confesses to an almost obsessive interest in the work of this Argentinian born artist now living in Paris. 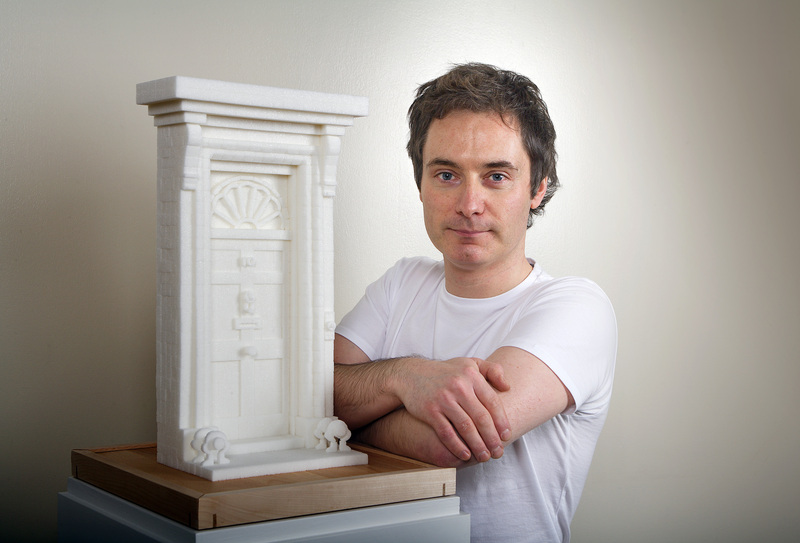 After studying architecture, Gurvich began working in porcelain and also paper and the work is both gorgeous and deceiving – hard to tell the difference. 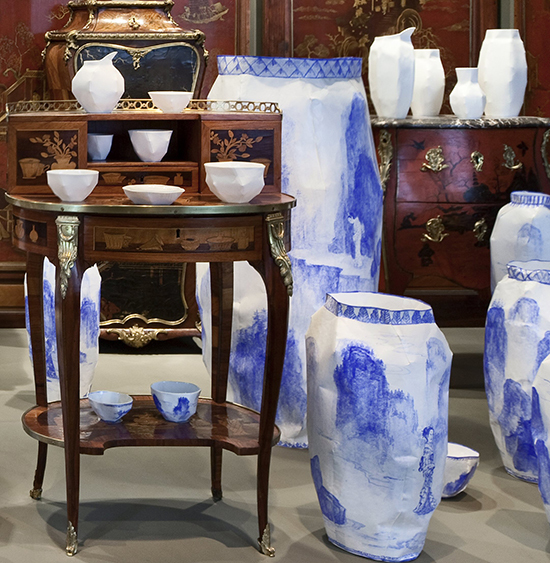 Porcelain pieces are …well, as delicate as paper. The subtle palette and decoration of flowers and nature are stunning. 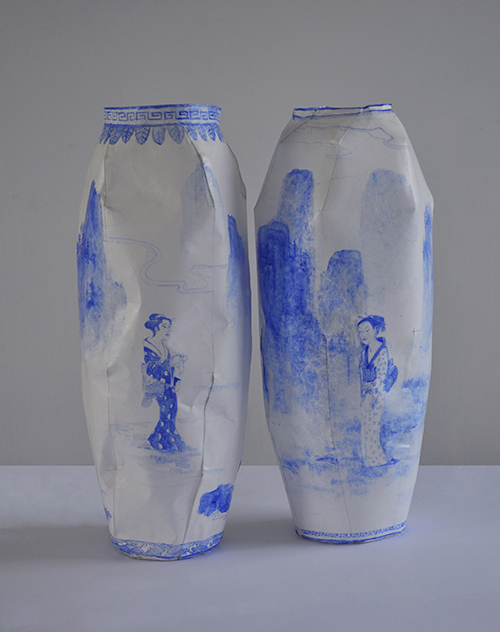 At an exhibition at the Musee des Arts Decoratifs in Paris a few years ago she chose a Japanese theme with huge decorative pots of geisha women in colourful kimomos – all made in paper. People (or THEEYE for one) were amazed. Belfast artist Brendan Jamison is an architectural sculptor….well, nothing special in that I hear cynics mutter…’YES, there is’, THEEYE swiftly retorts. 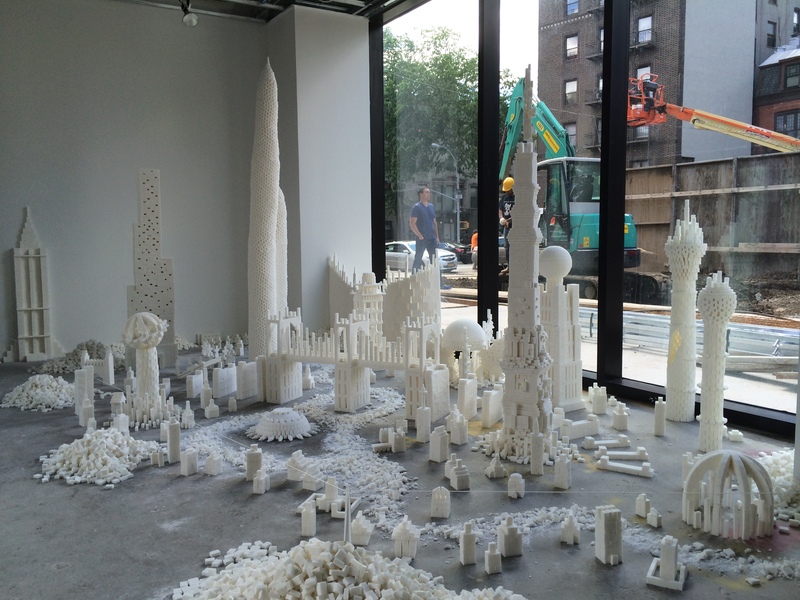 Jamison uses sugar cubes as his sculptural medium. 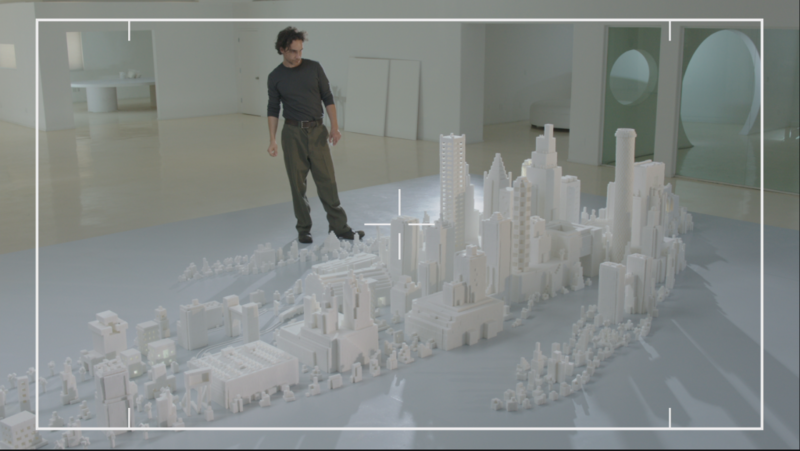 According to him, ‘cutting and carving blocks of sugar is extremely difficult, however, it is a beautiful material to work with. Sugar offers a multi-sensory experience for the audience, they not only see the sculpture, but they can also imagine the taste of the sugar dissolving on their tongue. 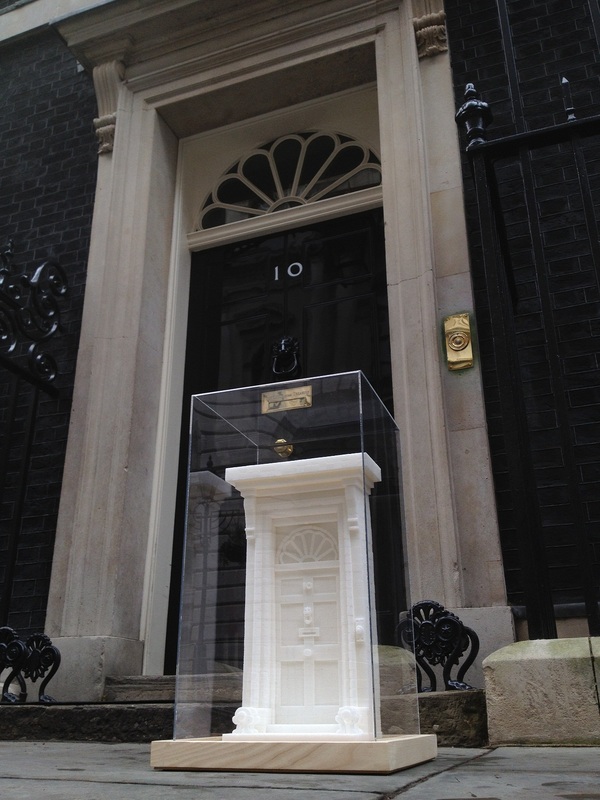 In 2012 Jamison made a sugar doorway of No 10 Downing Street as part of a series of contemporary craft and design installations. The doorway remains on display inside No. 10. 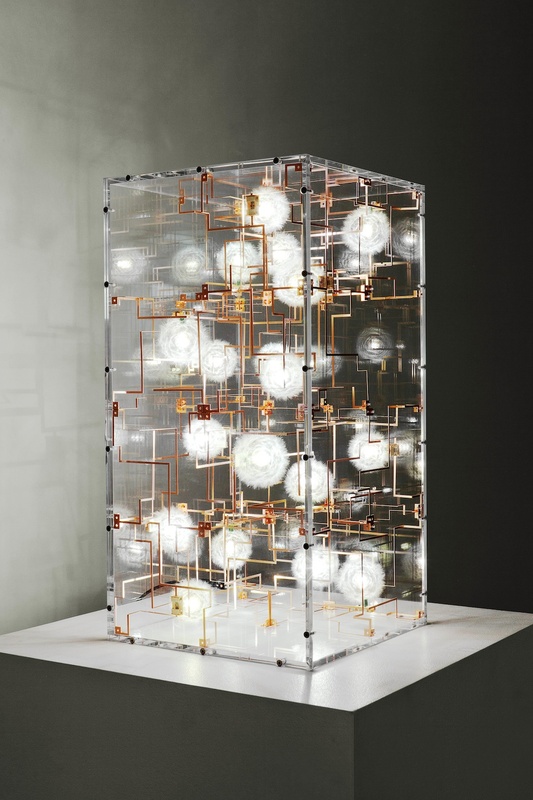 In December 2014 a joint sugar cube sculpture with his partner Mark Revels opened at the Sugar Hill Museum of Art and Storytelling in NYC and currently he has been commissioned to make 4 sculptures for Vogue in Milan based on objects associated with Switzerland. They are based on iconic Swiss products which include carvings of a Swiss Army Knife, a watch, chocolate bar and the Swiss flag. 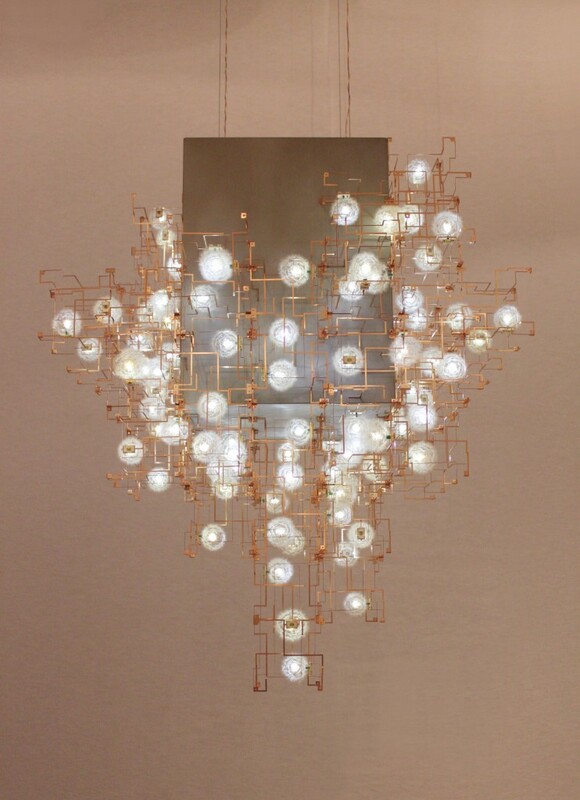 Studio Drift explores the relationship between nature, technology and mankind. 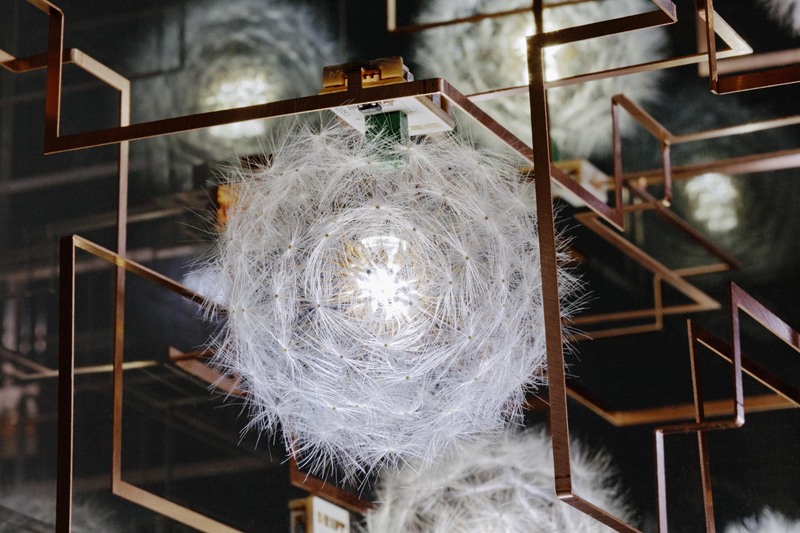 Whilst still at Eindhoven Academy they created a light using dandelion heads which became so popular they continued to develop it and the ‘Dandelion head hanging light show’ by Carpenter’s Workshop in 2012 was selected as ‘best in show’ at the PAD Art and Design Fair and was presented to the V & A. Their working process involves continuing collaborations with scientists, university departments, research facilities and the results are innovative and ground breaking. A tribute to the cross-pollination between the technically advanced, the aesthetically beautiful and awareness of future potentials. 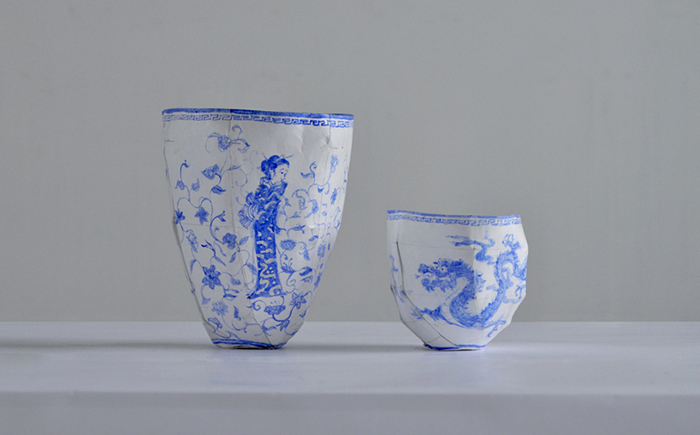 The visual language of Studio Drift is characterised by dreamy and poetic aesthetics. 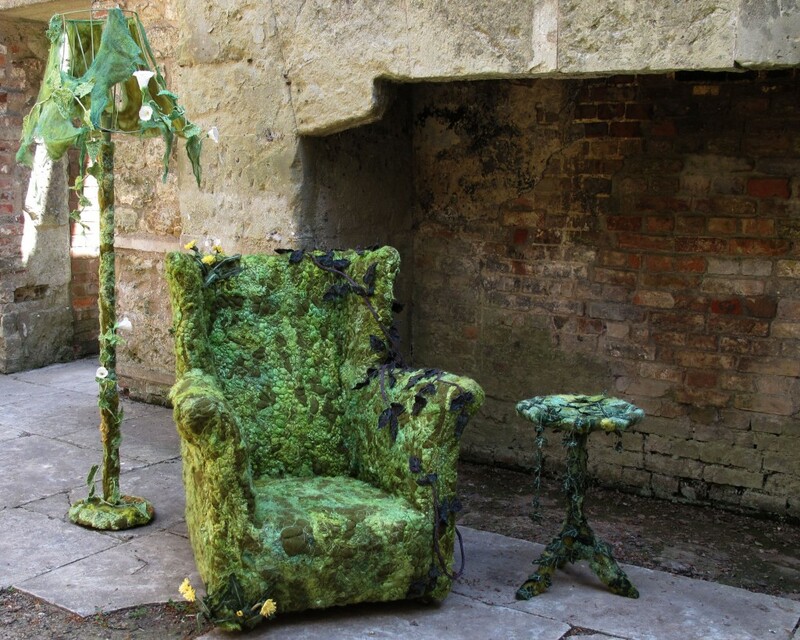 Lindsay Taylor’s studio is on the edge of a large forest in the Isle Of Wight, an ideal environment for her fascination with the native plants and flora that inhabit Britain’s woodlands and rural landscapes. 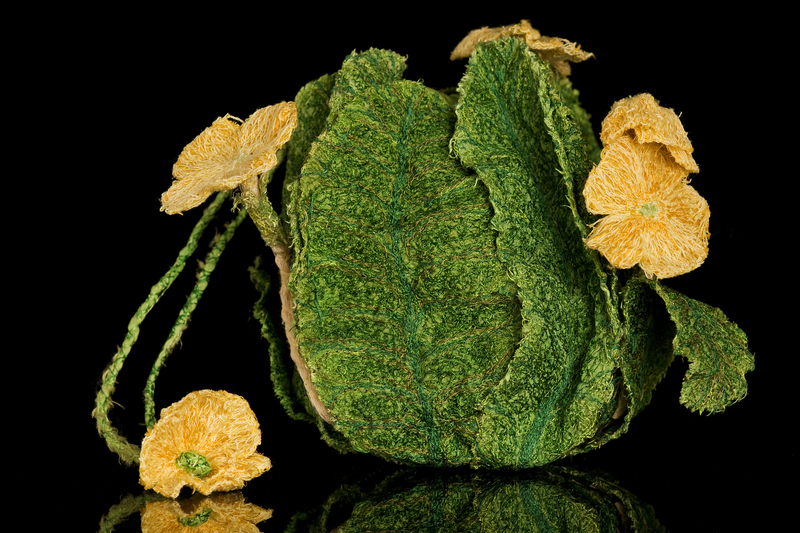 Working predominantly in three dimensions, weaving and winding hand-dyed natural fabrics into organic forms. 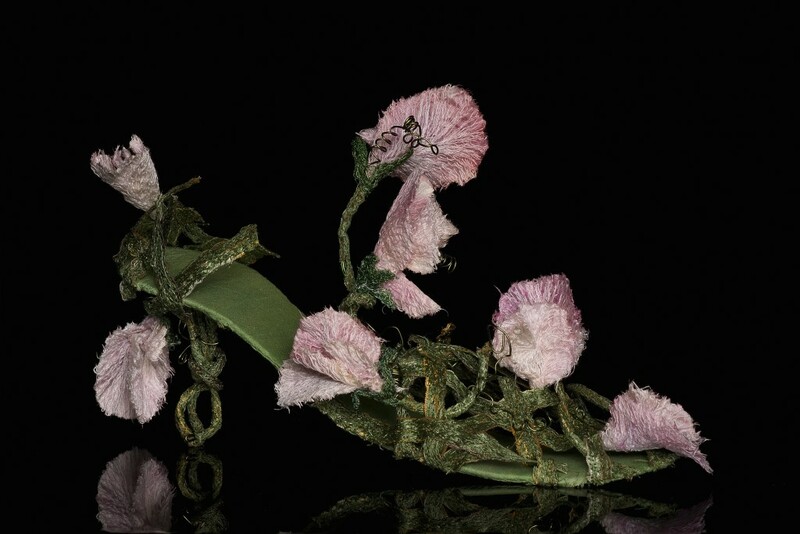 Her beautiful textiles of wild flowers, clambering plants, and the dappled forest floor, are straight out of A Midsummer’s Night’s Dream turned into shoes, handbags and teacups. To be admired only!! 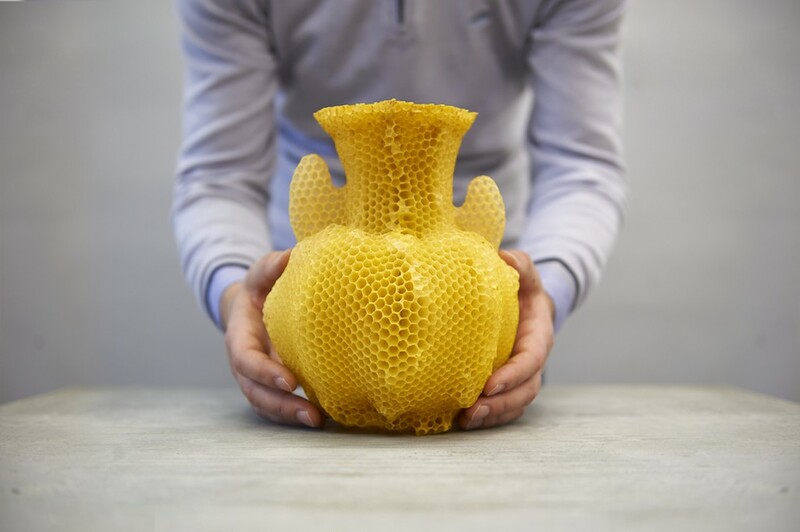 Eindhoven Academy graduate Tomas Gabzdil Libertiny made an instant name for himself with his beautiful honeycomb vases made from beeswax. Libertiny, who graduated in 2007, had the ingenious idea of placing a beeswax mould with a honeycomb pattern into a beehive and in his words ‘then the bees do the rest’. Apparently (and how would THEEYE know?) 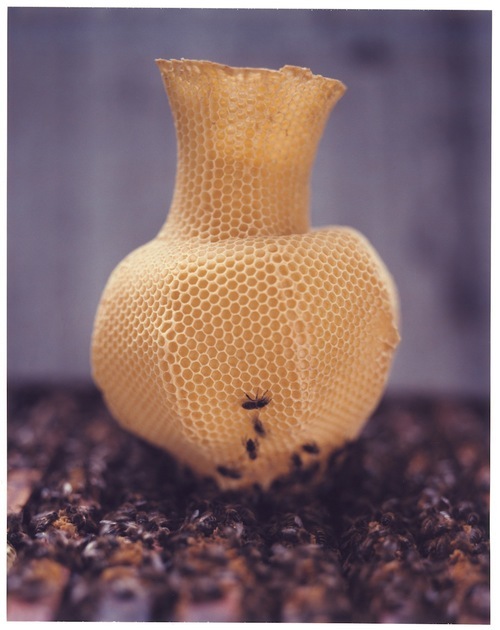 it takes 40.000 bees a week to make a vase. Each are completely different and vary in colour and smell depending on the flowers that are in season. THEEYE knows they are beautiful. She was one of the first people to buy one, protected in a bell jar, in 2007 and still a pleasure to behold. The perfect solution for a very special gift for someone very special. 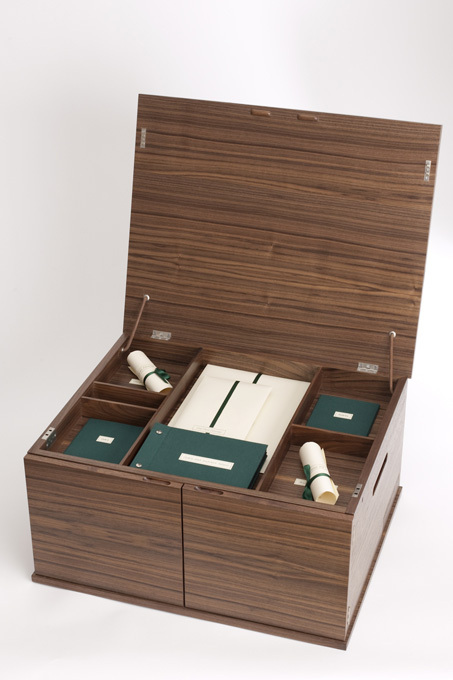 BookBoxes, the brain child of Penny Mishcon, are created by master craftsmen and designed to house personal mementoes, objects, photographs and other graphic material to commemorate important life events in a family or work. Births, weddings, celebrations of any kind. 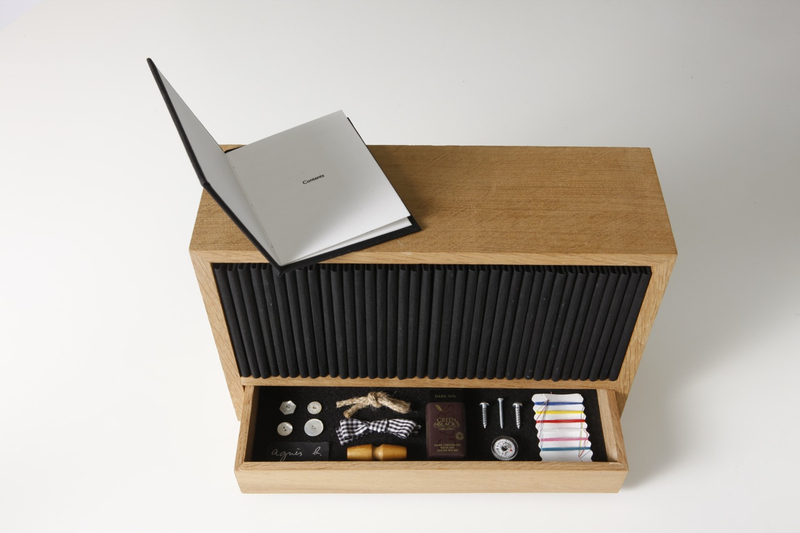 A memory box is precisely how it’s described. 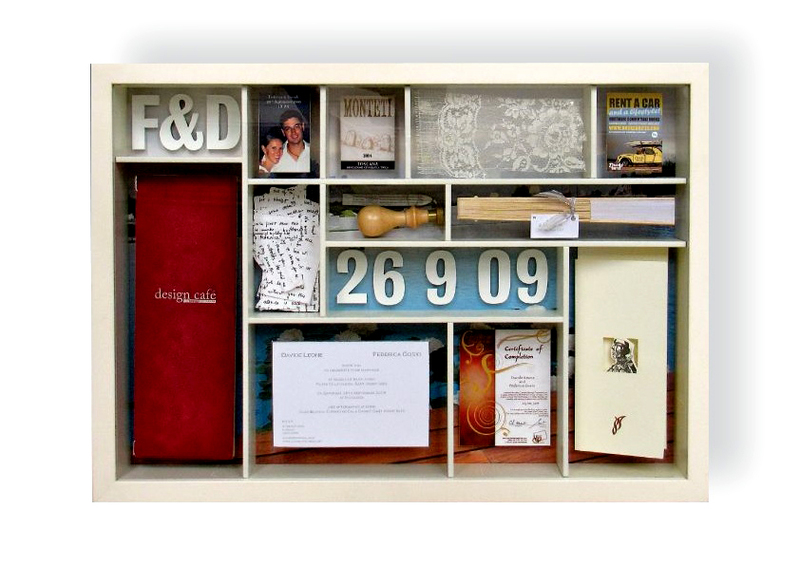 A beautiful hand crafted object to house important memories, small enough to put on a wall. Give Penny objects or (even ideas which can be sourced or specifically made). 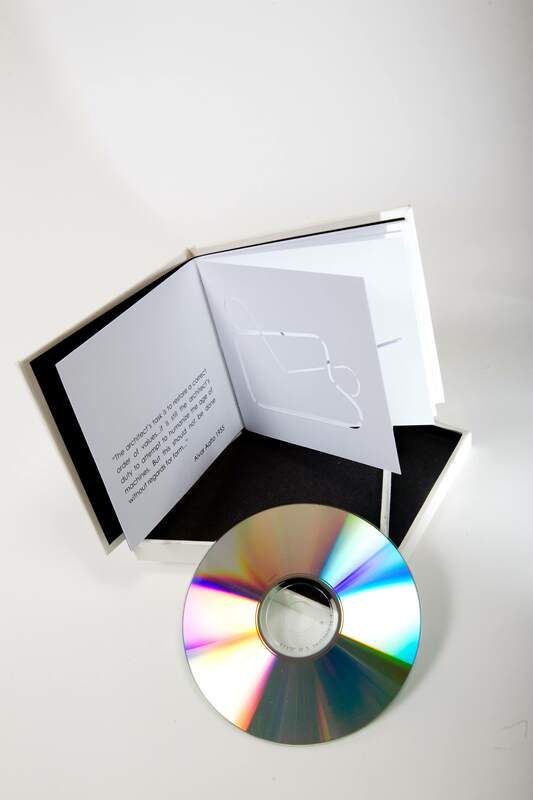 Some boxes contain miniature books and some use CD’s or memory sticks to form a slide or video presentation. 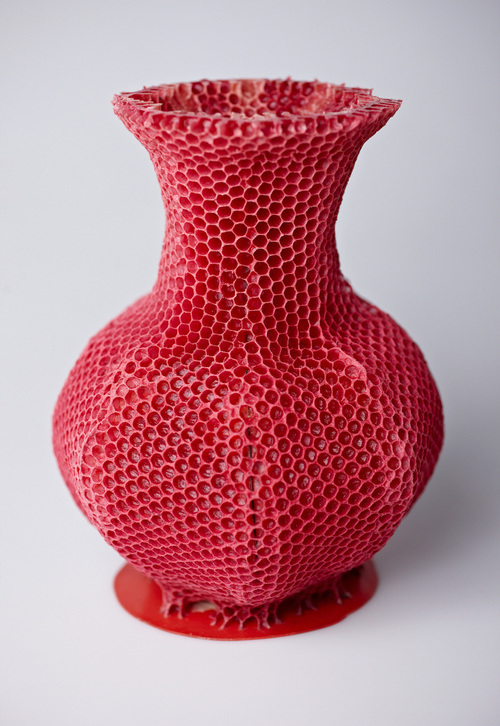 Also out is this new book for those interested in contemporary craft by leading expert in the field, Tanya Harrod. This is really good and it LOOKS good, too. I was so pleased to have been sent it.